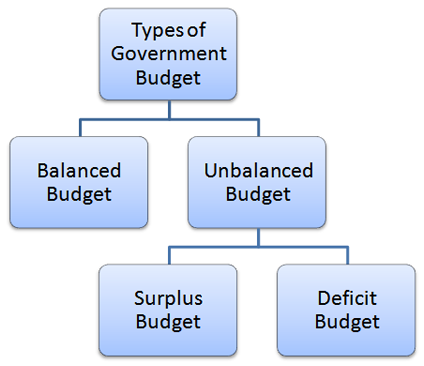 A Balanced Budget is a situation in which estimated revenue of the government during the year is equal to its anticipated expenditure. Government’s estimated revenue = Governments proposed expenditure. 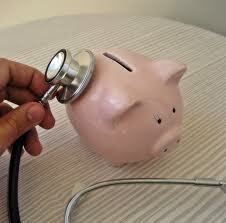 For individuals and families it is always advisable to have a balanced budget. 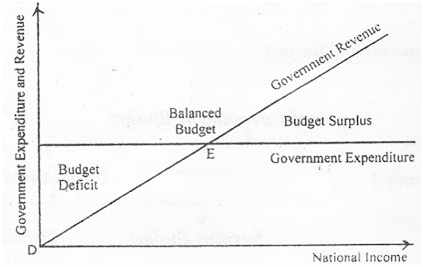 Most of the classical economists advocated balanced budget which was based on the policy of “live within means”. According to them, government’s revenue should not fall short of expenditure. They also favoured balanced budget because they believed that the government should not interfere in the economic activities and should just concentrate on the maintenance of internal and external security and provision of basic economic and social overheads. To achieve the government has to have enough fiscal discipline so that its expenditures are equal to revenue. Thus till 1930, generally accepted norm was that of “sound finance” which implied that a public authority should balance its budget. But the great depression of 1930s proved that balanced budget was not a guarantee of stability and full employment. It was realized that the government can play an effective role in the recovery of the economy. This is because if the government’s expenditure exceeds its revenue, it will generate additional demand which will accelerate the pace of economic growth. Hence budget should not be regarded as an account to be balanced but as a stabilizing influence on the economic life of the community and as a tool to achieve macro-economic goals. This new approach to budgetary policy owes more to Keynes than to anyone else. It was he who replaced the norm of “Balanced Budget” with the norm of “Functional Finance”. Others have carried forward and improved the ideas he launched. Today almost all countries of the world have abandoned the policy of balanced budget. Especially with the increase in public expenditure, unbalancing the budget is the order of the day. Also, it is easy to balance both the sides of anticipated revenue and the proposed expenditure while framing a budget, but in reality it is very difficult to achieve it because what is anticipated and what is expected may not be realized. The budget in which income and expenditure are not equal to each other is known as an unbalanced budget. A surplus budget is a situation in which estimated revenues of the government during the year is greater than its anticipated expenditure. Governments expected revenue ˃ Governments proposed expenditure. Surplus budget shows the financial soundness of the government. 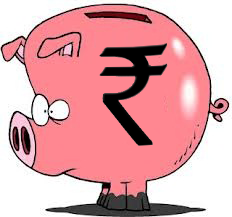 When there inflation, the government can adopt the policy of surplus budget as it will reduce aggregate demand. Increase in revenue by levying taxes on people reduces their disposable income, which otherwise would have been spent on consumption or saved and devoted to capital formation. This in turn reduces the demand for goods and services, thereby bringing down the prices. Since government spending will be less than its income. Aggregate demand will decrease and help to reduce the price level. However in modern times, when governments have so many social, economic and political responsibilities, it is virtually impossible to have a surplus budget and not advisable also. This is because a surplus budget will mean that government, instead of spending for the welfare of the people, is busy in earning income and amassing wealth. Hence a surplus budget is practically non-existent. A deficit budget is a situation in which estimated expenditure of the government during the year is greater than its expected revenue. Government’s estimated expenditure ˃ Governments expected revenue. According to Prof Hugh Dalton, “If over a period of time expenditure exceeds revenue, the budget is said to be unbalanced”. During depression, the government can adopt the policy of deficit budget as it will reduce aggregate demand. In this case the government incurs excess expenditure which increases the level of employment. This leads to increase in the demand for goods and services, thereby leading to revival of the economy. When the government incurs a budget deficit it is financed by borrowing. The government borrows from the public by issuing government bonds. This gives rise to government or public debt. Such deficit amount is generally covered through public borrowings or withdrawing resources from the accumulated reserve surplus. In a way a deficit budget is a liability of the government as it creates a “burden of debt” or it reduces the stock of reserves of the government. In developing countries like India, where huge resources are needed for the purpose of economic growth and development it is not possible to raise such resources through taxation, deficit budget is the only option. In underdeveloped countries deficit budget is used for financing planned development and in advanced countries it is used as a stability tool to control business and economic fluctuations ie to solve the problem of recession and depression which occurs mainly due to lack of effective demand. This is because, an increase in the total expenditure incurred on wages salaries, social security etc tends to increase the personal disposable income of the people. As a result the aggregate demand for consumer goods will increase. Increase in total expenditure tends to expand the aggregate economic activity in the economy. A very high deficit in the budget is not preferable as it creates inflationary pressures on the economy. Economist are now generally of the opinion that fiscal policy should be used as a tool to achieve full employment and stability in the economy. This depends upon the extent to which government can vary the difference between its income and expenditure. In general, budget deficit is very common.Today almost all countries of the world follow the norm of deficit budget instead of surplus or balanced budget. Developing countries use it as a means to finance planned development. At the point “E” the budget is balanced. To the left of point “E” the government budget is in deficit and to the right of point “E” the budget is in surplus.